It was built for the 1900 Exposition Universelle (universal exhibition), it now houses the City of Paris Museum of Fine Arts (Musée des beaux-arts de la ville de Paris). The Petit Palais is located across from the Grand Palais on Avenue Nicolas II, today Avenue Winston-Churchill. The other façades of the building face the Seine and Avenue des Champs-Elysees. The Petit Palais is one of the 14 museums of the City of Paris, that have been incorporated since January 1, 2013 in the public corporation Paris Musées. The Beaux-Arts style Petit Palais was designed by Charles Girault, and is around an octi-circular courtyard and garden, similar to the Grand Palais. Its ionic columns, grand porch, and dome echo those of the Invalides across the river. 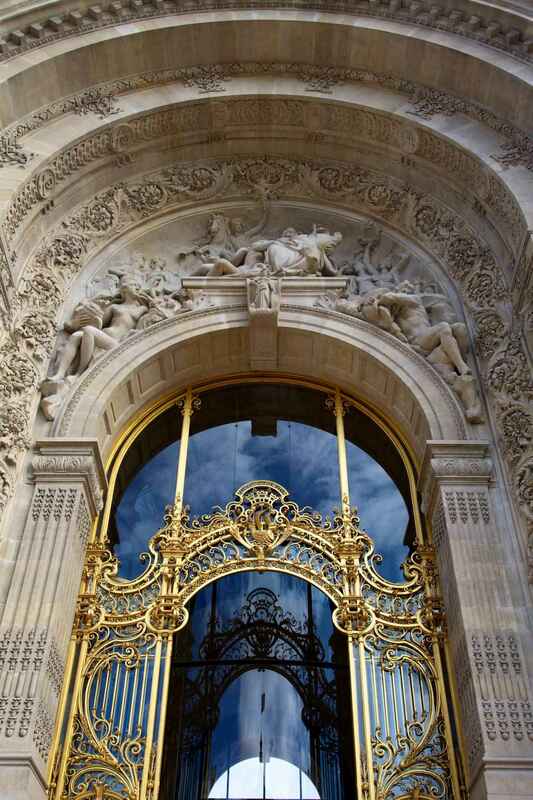 The tympanum depicting the city of Paris surrounded by muses is the work of sculptor Jean Antoine Injalbert. The Petit Palais was built to be a lasting building that would become a permanent fine arts museum after the exhibition. The materials of the building—stone, steel, and concrete as well as the decoration were to demonstrate that the Petit Palais was built to be enduring. The main façade of the building faces the Grand Palais. The focal point of the façade is the central entrance: “a central archway set in an archivolt topped by a dome and reached by a broad set of steps”. Two wings flank the main entrance. These wings, continuing to the end pavilions, are embellished with free-standing columns that frame the tall windows. The exterior of the pavilions are embellished with arched windows from the side around to the rear façades. These grand windows provide side lighting for the outer three galleries of the interior museum. The exterior of the Petit Palais was embellished with many contemporary sculptures. Several famous sculptors at the time, such as Convers, Desvergens, Fagel, Ferrary, Hugues, Injalbert, and Peynot, worked on the exterior decoration of the building. The trapezoid shape of the Petit Palace forms an open area at the center of the building. This enclosed area creates a semicircular, peristyle courtyard. The architecture of the courtyard incorporated many different architectural elements. The elegant courtyard is considered Beaux Arts style because of the “symmetrical composition” and “rich decoration in high relief”. Coupled columns made of pink Vosges granite and gilt-bronze encircle the courtyard and bordering covered gallery. Although the courtyard is in the central part of the Petit Palais, one of the main structures of the Exhibition, its purpose was to provide visitors with a relaxing space apart from the busy Exposition. The museum is split into two levels with two series of rooms running parallel and juxtaposed. The interior of the Petit Palais was designed to create exhibition spaces “suited to every aspect of a collection: the outer galleries for objects, the inner, skylit ones for paintings, the lower galleries for reserves and the entrance rotunda and main gallery for sculptures”. The entrance rotunda and main gallery was especially grand. The floors were tiled with mosaics, the walls were lined with marble, and the dome and vaults were filled with allegorical paintings. 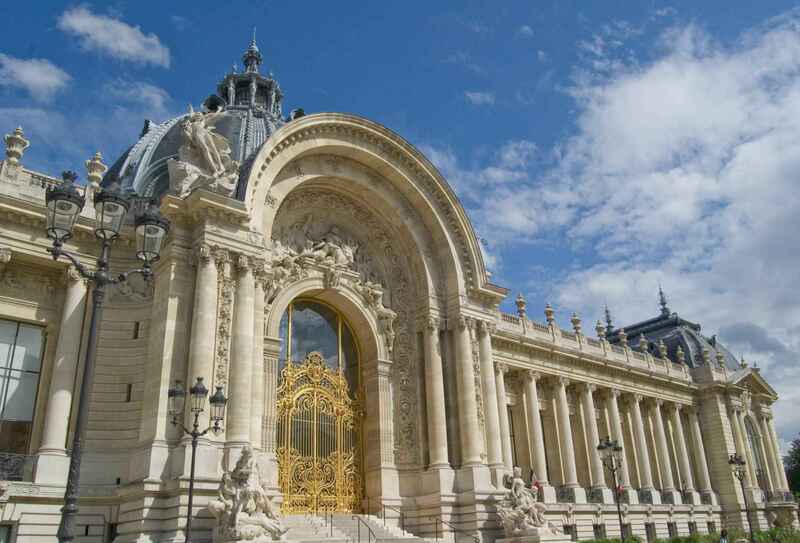 Petit Palais | eTips Inc.